There is a storied history of passionate football following in Hamburg. If you want to catch local teams like Hamburg SV, or the biggest games in Europe, you need somewhere that shares the same love for football. We, at CeleBreak, never want you to miss a game so here are our top suggestions for the best places where to watch football in Hamburg. 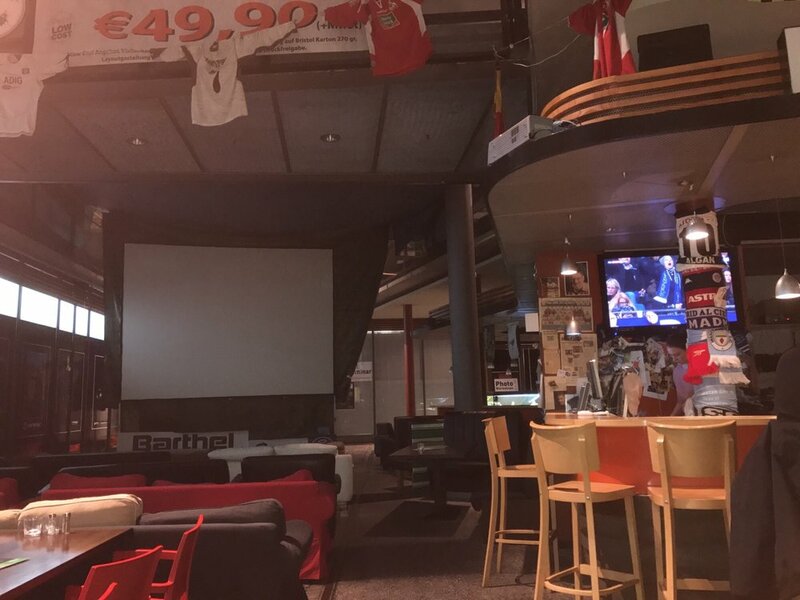 Wettenleip Sportsbar is the perfect spot to watch with locals. 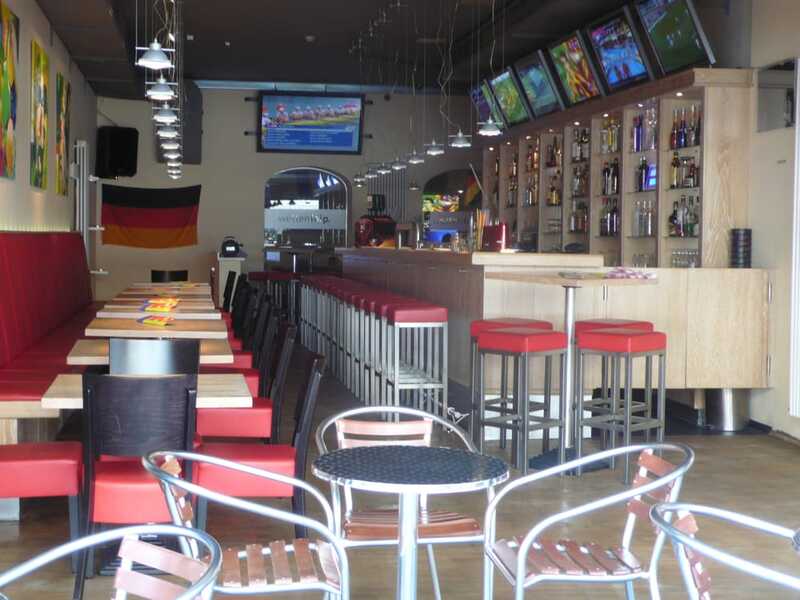 Located at 10 Steindamm, in the St. Georg neighborhood, this bar suits you if you want a closer feel to the game. The friendly staff and the long bar area entices guests to join them for match day. Seating includes bar stools, smaller booths, and outside tables for nicer days. Bundesliga and Champions League are the main viewings, but other matches can be requested with no difficulties. Bar Same Same is a routine location for Hamburg SV fans of Bundesliga 1 and FC St. Pauli of Bundesliga 2. Additional coverage of matches are shown on SKY, DAZN, and Eurosport 2. The owner’s hospitality is a key component of drawing football fans back to the bar. Quick service with cheap prices for beer and food is an important factor as well. However, the bar does allow smoking inside, so be aware if you choose to stop by. The O-Feuer Bar has the appearance of a trendy location. 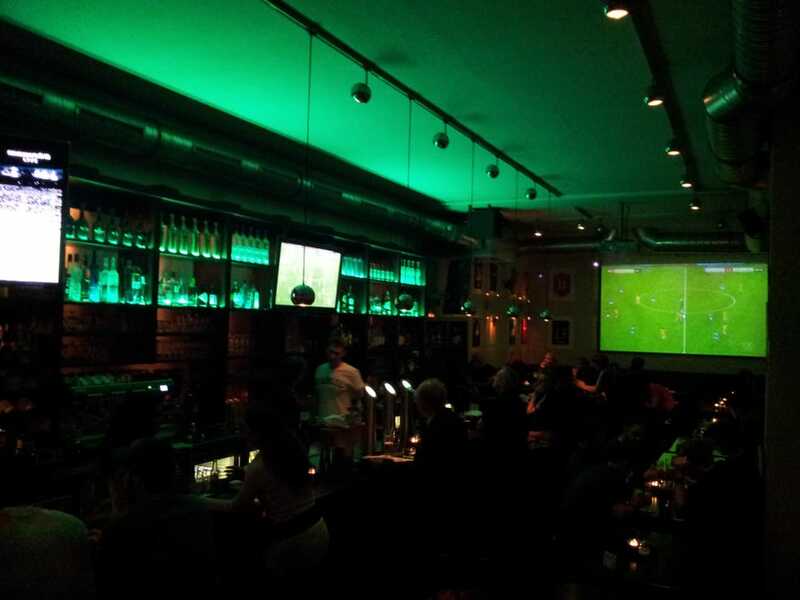 Dimmed lights and a modern look hide the passion for football in this Hamburg bar. Four big screen TVs and a large HD projector screen display matches from the Bundesliga, Champions League, and Europa League. Their wide drink selection offer plenty of options, but they can be pricey. 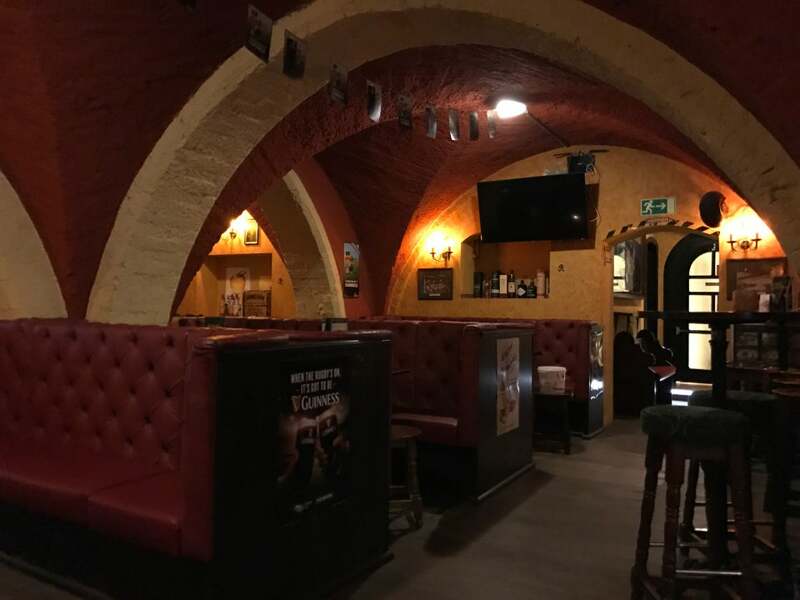 A true Irish pub right in the heart of Hamburg, the ‘Fleet’ is a fan favorite. 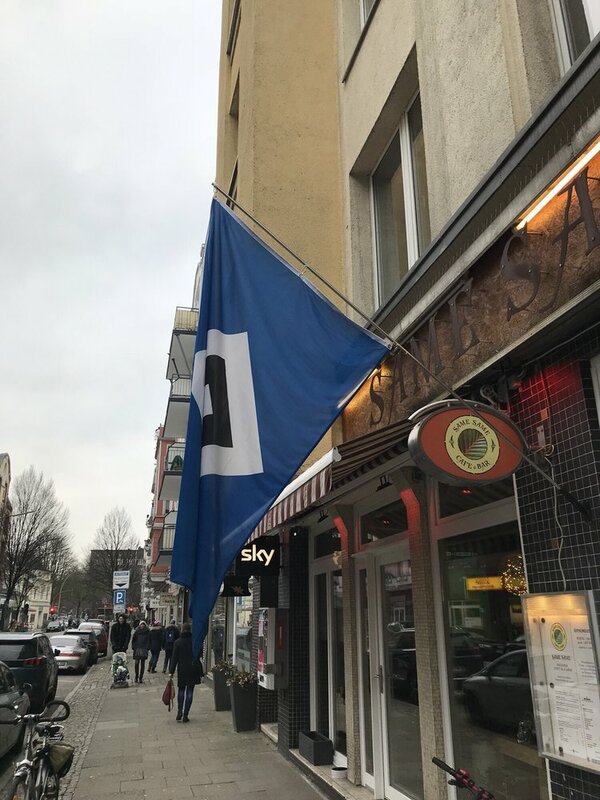 Their attention to customer service and satisfaction are recognized as award-winning in the city, making it a top venue for where to watch football in Hamburg. Take a look at the What’s On page from their website to see extensive European league coverage, broadcasted on HD TVs across the pub. Although their menu is not that big, traditional Irish culture is evident through their food and beer offerings. Bar Vivo has plenty to offer for all ages. Whenever football is on, there are two big screen TVs and a large projector screen for bigger crowds. Comfy sofas sit in front of the projector screen, so it is like you won’t even have to leave your home! For kids, there is a separate area where they can play without disturbing the game. And if your team is losing, you can always distract yourself with billiards or table football. Check out up-to-date standings from Germany, Turkey, and Spain’s top leagues here on Bar Vivo’s website. If you want more than just to watch football in Hamburg, then the Gecko Bar is a must-visit. The outside of the building can be deceiving, but once inside, it is clear that they have it all. Ten different seating areas and lounges each present an exciting atmosphere. 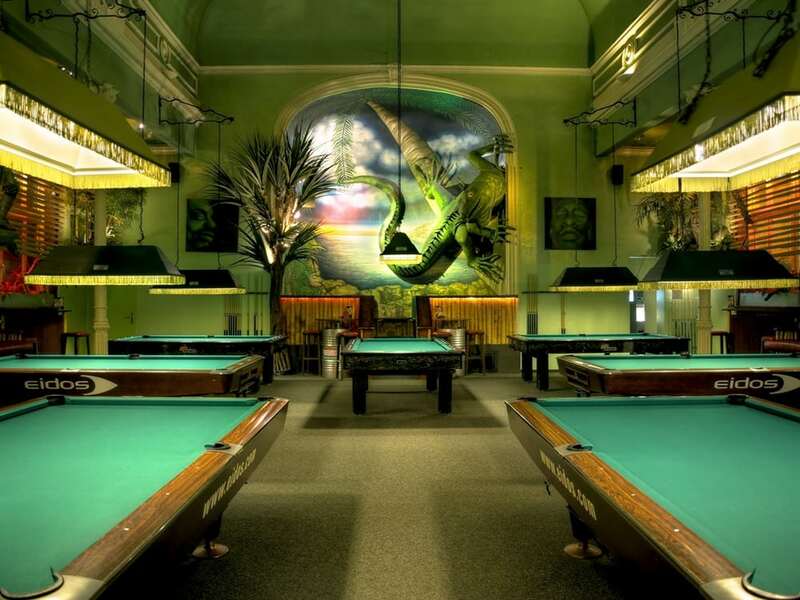 There are seven billiard tables, which can be rented for €8.40 an hour. Other entertainment options for your table include darts, poker, board and console games. The drink menu is endless, but the happy hour cocktail specials for €4, from 18:00 to 20:00, are highly recommended. Bundesliga, Champions League, and Europa League are the usual games, but requests can easily be accommodated by the staff. 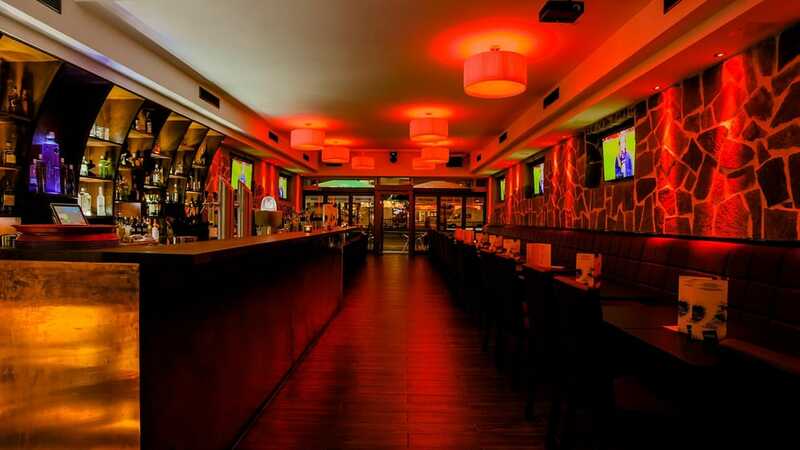 Tailored more towards the nightlife, Herz Hamburg is a stylish bar on the Reeperbahn strip. Their modern seating and lighting technology present an inviting vibe. With over 50 cocktail mixes and happy hour until 20:00, the fun has just begun. On top of that, you will not have to worry about missing a game; the bar has two projectors and five TVs. Bundesliga 1 and 2, as well as the English Premier League are shown throughout the weekend. Champions League and Europa League are covered during the week. If you want nightlife and football all in one, Herz Hamburg is your destination.